More Friends, more countries. SheDecides grows fast. Exciting news! SheDecides is growing! Over 100,000 Friends believe in a world where She Decides; reaching 183 countries. 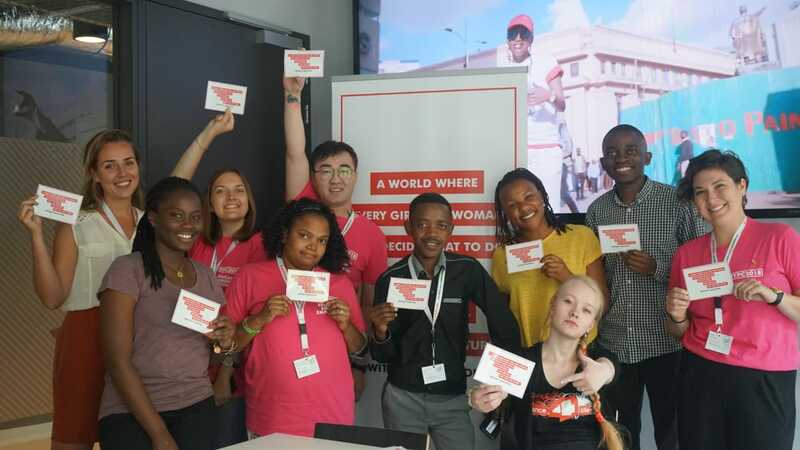 As 2019 starts, SheDecides has reached nearly every country in the world and counts over 120,000 people as Friends of the movement - incredible growth since people started to sign up to the vision less than two years ago. At the end of 2018, the Guardian published an article with a great summary of how SheDecides has grown and developed since its start in early 2017. Kudos to Liz Ford for her overview of how Trump became ‘a gift to feminists’ & sparked an ambitious global response. Check it out here! With the latest figures in from Global Citizen we can now very happily update the Guardian article’s quoted number of Friends. The movement has more than doubled! Friends are individuals and organisations who have signed the manifesto and committed to taking action to achieve that vision. To sign up as a Friend click here. These brave, bold disruptors are aged 18-89, and come from over 183 countries: with the USA, South Africa, the UK, Germany, Canada, Argentina, India, Brazil, Australia and Laos as the top 10 countries. SheDecides is a diverse, widespread global movement. Without Question.